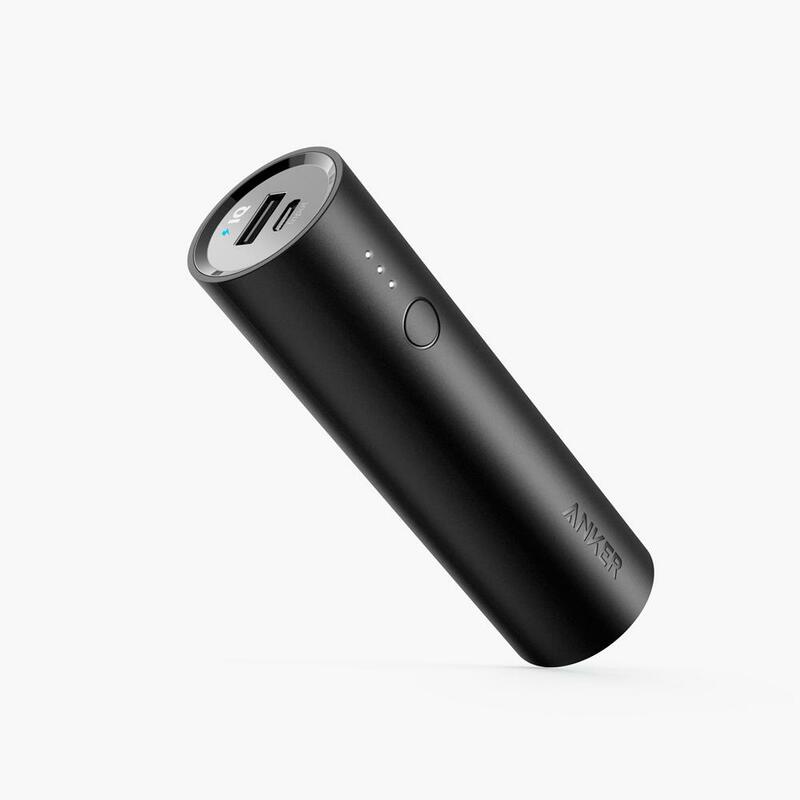 2 high-speed phone charges fused into a cylindrical shell that slides neatly into your back pocket. 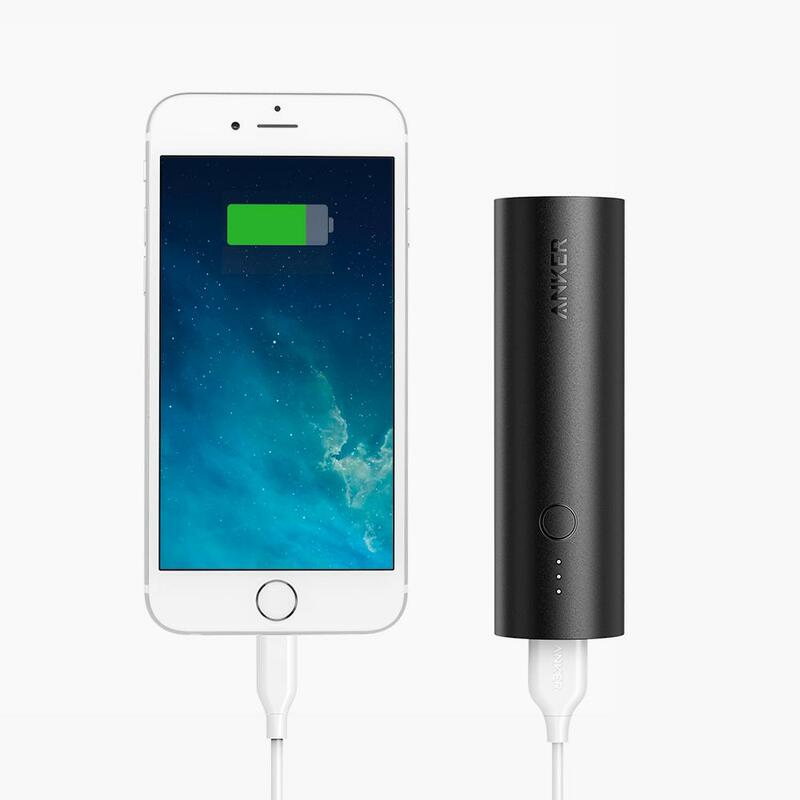 Thanks to Anker's advanced technology, PowerCore 5000 breaks the portable charging mold. High capacity no longer means high weight. Over an inch smaller than most smartphones. Thanks to Anker's advanced battery technology, PowerCore 5000's high capacity is easily squeezed into its space-efficient chassis. 1. Can I use a USB cable other than the one that came with PowerCore 5000? Yes, other cables can be used to charge your devices with PowerCore 5000. However, to ensure compatibility and the best possible performance, we strongly recommend using your device’s original (OEM) cable, a third-party certified (MFI) cable, or the included cable. 2. What kind of wall charger should I use to charge PowerCore 5000? 3. How long will it take to fully recharge PowerCore 5000? It takes 2-3 hours to fully charge using a 2A wall charger. 4. What devices are compatible with PowerCore 5000? 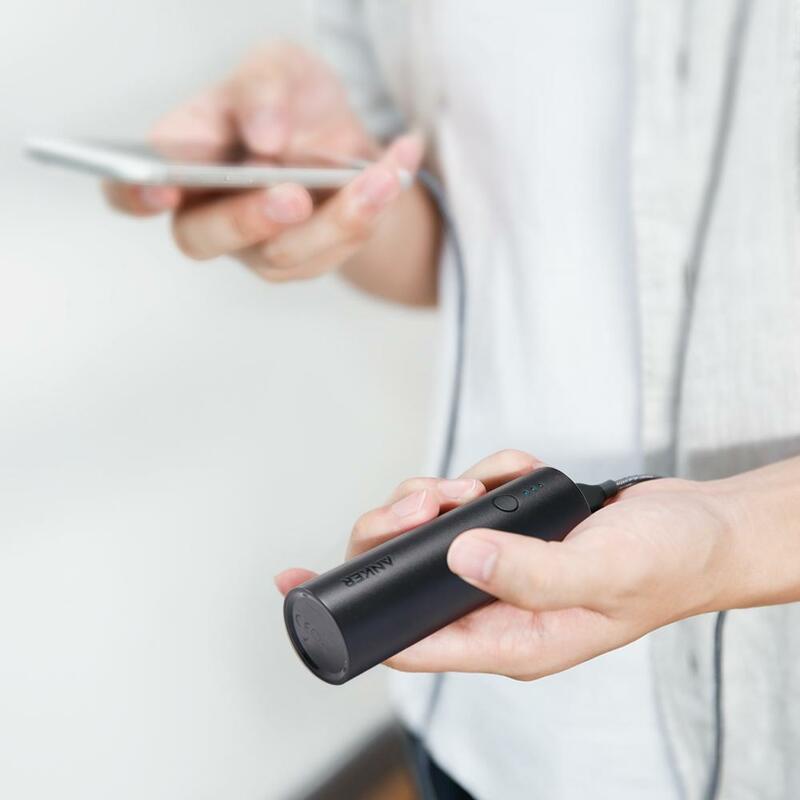 The PowerCore 5000 is compatible with Android, Apple and almost all other devices charged via USB except for iPod nano, iPod Classic, HP TouchPad, Asus tablets and some GPS and Bluetooth devices. 5. Does PowerCore 5000 work with the new iPhone 7 and iPhone 7 Plus? Yes, PowerCore 5000 can charge all iPhones, but an Apple charging cable is not included. Use your device's original (OEM) cable or purchase a third-party certified (MFI) cable separately. 7. 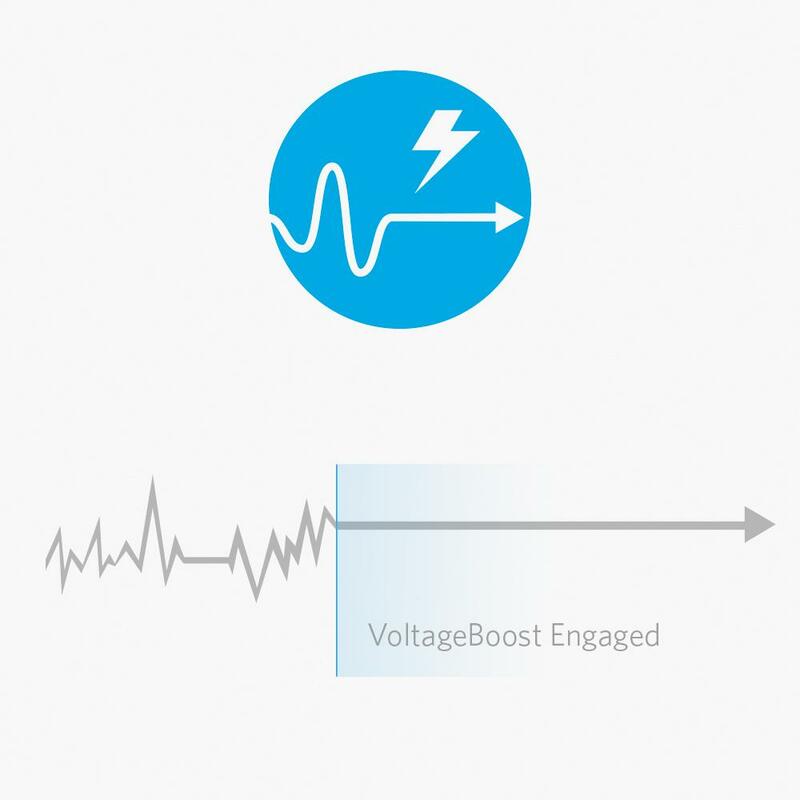 What's the output efficiency of PowerCore 5000? 8. Can PowerCore 5000 charge other devices while it is being charged? 9. My device charges at 1 Amp, will PowerCore 5000's higher output harm it? No, the PowerCore 5000 will only supply the maximum output current necessary to charge your device. 10. 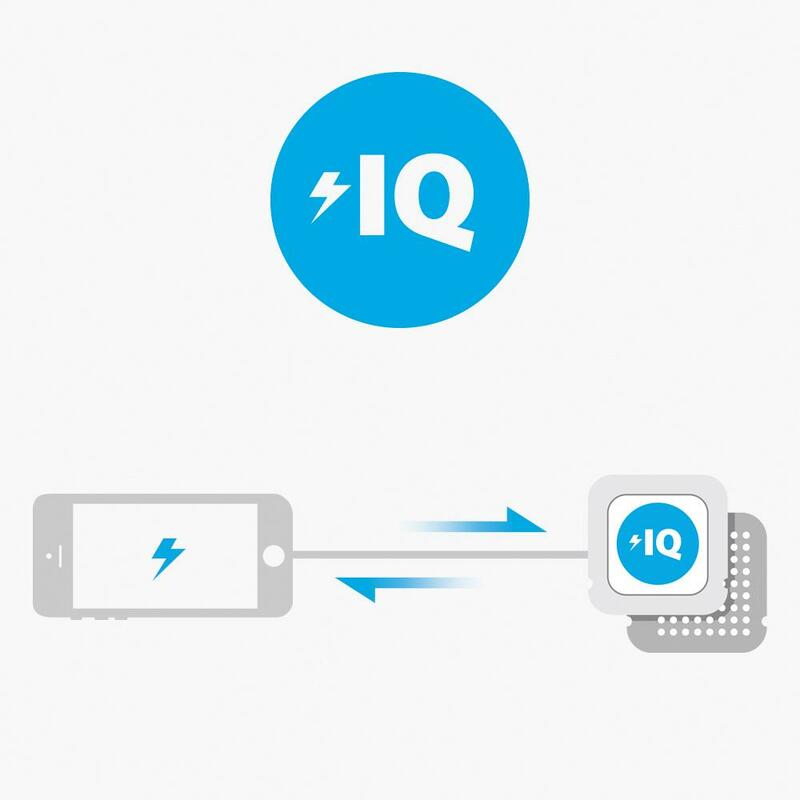 Can PowerCore 5000 charge two devices simultaneously? 11. What do the LEDs indicate when PowerCore 5000 is charging itself or other devices? When PowerCore 5000 is charging your device, the LED indicator will stay on displaying the powercore's remaining power and will turn off when the device is fully charged and not drawing a current. When PowerCore 5000 is being charged, the remaining power of the LED indicators will light steadily; while the next charging LED indicator will flash. They will turn off when the PowerCore is fully charged. 12. How long will the charge in PowerCore 5000 last without being used? 13. Can PowerCore 5000 be used for international travel? Yes, PowerCore 5000 can be used internationally. Just be sure that your USB wall charger is compatible with the voltage of the country you're travelling to. The input voltage of an adapter is usually labeled on the adapter itself. 14. Can PowerCore 5000 be taken on board airplanes? 15. What should I do if PowerCore 5000 doesn't recharge? 16. What should I do if PowerCore 5000 doesn't charge other devices? Please try a different charging cable between PowerCore 5000 and your device. Email us at support@anker.com during your 18-month warranty period if this doesn't fix the issue.